Last night’s IGO EV Member Party was filled with fun, information, and intrigue. After toasting (yes, toasting!) IGO’s EV start with a plastic cup of champagne, the IGO CEO explained some of their plans on moving forward with their EV releases. There were plenty of snacks and drinks going around while people enjoyed good discussion, thoughts about the program, and yes, even some test rides in the their new Nissan Leaf and Mitsubishi i-MiEV. I-GO recently announced that they will be constructing 18 solar charging stations and will be adding 36 electric vehicles to its fleet. 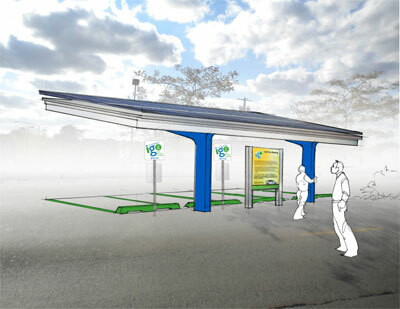 One of the locations for these solar charging stations will be right here on the IIT campus.